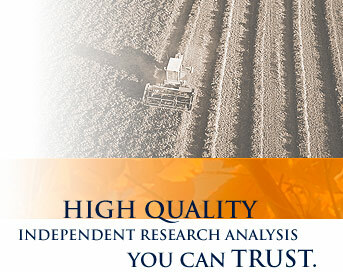 Farmhouse Equity Research, a premiere channel checking research firm, brings its expertise to offer unique sources of information and investable ideas through our award winning Flag Research Reports, ranked #1 in Barron's on March 3, 2008. Our focus is generally on companies that are near either a 52-week low or high.  Green Flag reports indicate upward momentum, while Red Flag reports indicate downward momentum. We generate reports on companies across a range of industries with a bias towards consumer/retail. Reports are published, on average, once or twice per week.